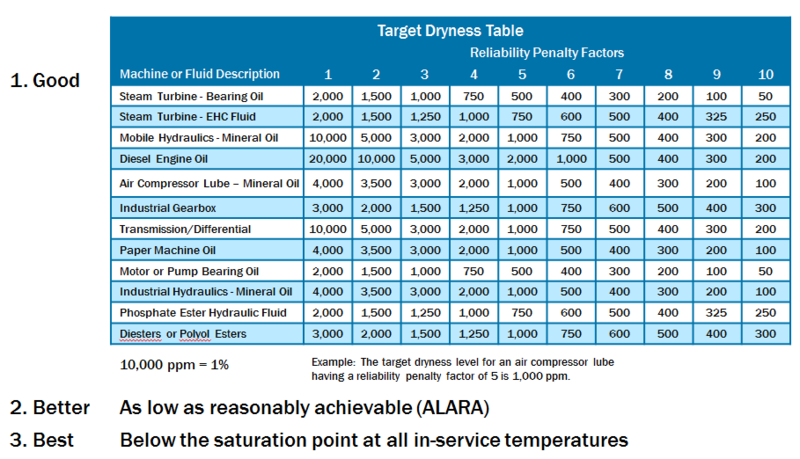 Below is a list frequently asked questions we have received from our “How to Detect and Control Lubrication Failure Modes” webinar. Q: At what temperature does the average industrial lubricant begin to degrade? What temperature should an all-purpose lubrication storage room be kept? A: The degradation or chemical reaction starts at absolute zero (-273). As you increase the temperature, the rate of reaction increases. A good rule of thumb for industrial lubricant storage is less than 80 degrees if possible. In the "real world" keeping it as cool as possible is best. This means keeping it indoors, out of direct sunlight, away from heat sources, etc. Q: Is this advised temperature requirement applicable for high temperature lubrication e.g lubrication of heater bearings? A: Yes. All lubricants and chemical reactions for that matter are governed by the same rate rule. This is the reason that we must increase the frequency of application for higher temperatures. Q: I have heard that FTIR is better than RPVDT, but I have also heard the opposite. What is your preference for turbines? A: The two tests give us different information. If it were my multi-million dollar turbine I would want both. FTIR is a good quantitative test that can give lots of information, but it’s not very specific. RPVOT gives less overall information, but is far more accurate. Q: When a gear box is big enough to justify performing oil analysis? A: We at Noria use a rule of thumb that ANY gearbox over 20 gallons gets it, and anything under that it becomes a function of criticality. Q: If I cannot find a spot to sample in a return line, where else can I find a suitable location? Is the reservoir ok? A: The problem with sampling from a reservoir is that the data can become severely diluted. The homogenous properties like viscosity are not affected, but things like wear debris will be way off. Q: Why the return line and not the feed line just past the pump outlet? A: The return line has the best data density coming directly from the components. For example, let’s say the component starts to generate wear debris and that debris goes into the sump and gets diluted, then its picked up by the pump and sent back to the component. If the sample was taken after the pump, you would only be seeing the diluted wear debris and it might not even be enough to trigger your alarm depending on the size of the sump. Q: What does it mean if hydraulic oil analysis shows high ISO counts yet particle counts including silicon, metals, additives, viscosities, & oxidation values are at normal or acceptable levels? A: That could mean that you have large particles. Elemental Analysis is blind to larger particles. So if you have high particle counts and low elemental analysis ppm, there is a high likelihood that you have larger particles. A: This may be a decent starting point, but is not best practice. Best practice would include taking into account environmental conditions, operational conditions, criticality, and a host of other variables. Q: What the effect of the breather in oil condition? A: All machines breathe both as they operate and while sitting idle and without a proper breather the machine is ingesting dirt, moisture, and other contaminants. These contaminants will have a negative effect on its life. These contaminants also affect the oil life. They cause it to age more quickly (oxidize) , causing more frequent oil changes and a greater cost. 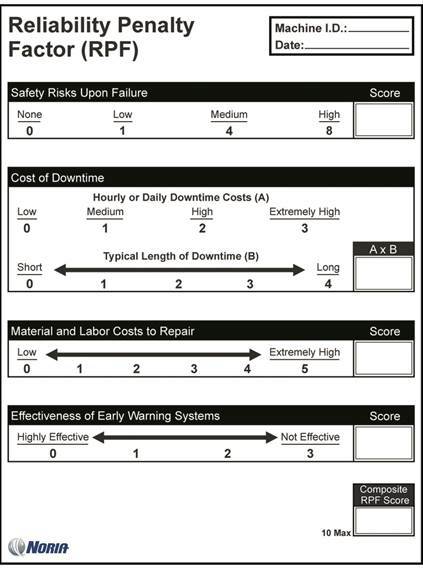 Q: Does Noria have standards or ISO cleanliness codes for specific equipment? 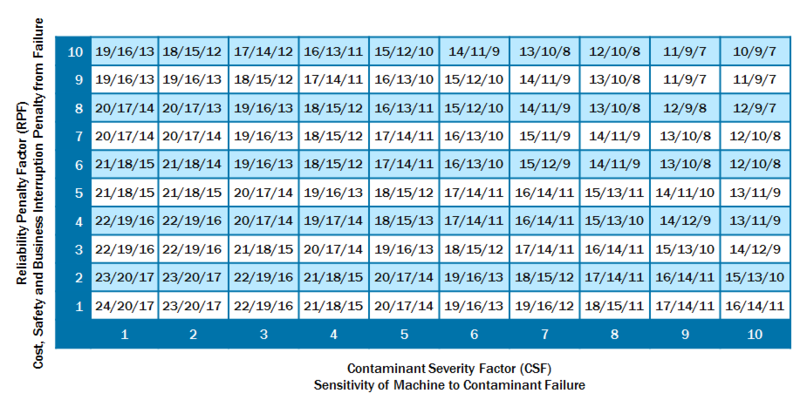 A: There are some rules of thumb for setting cleanliness targets for particular equipment classifications, but to do it well you need to take a deeper dive. Criticality, environmental severity, contaminant tolerance, current proactive and predictive maintenance practices, and operational severity should all play a role in how tight or loose the target is set. The first thing needed is what we call the Reliability Penalty Factor. It basically tells us how bad is it if this piece of equipment is not reliable. After we know both of these, we use a simple chart to determine the target. If you need any help with using this info, let me know. This is one of the things we do for every piece of equipment during our LPD process. Q: What are the Oil change intervals of Jet Oil ? A: For many gas turbine engines there is no set oil change interval, this is because the oil in the system changes over through normal consumption in a reasonable number of hours. They are basically just continually topped off. For some engines, particularly smaller engines, the engine manufacturer recommends regular oil changes. Operators should therefore adhere to the recommendations for the specific model of engine they operate. Depending upon the condition of the oil and the oil wetted areas of the engine, the engine manufacturer may be prepared to authorize oil change extensions. For gas turbines used in coastal operations (e.g. off-shore helicopter operations) where there is salt in the atmosphere, in high temperature/high humidity areas or in sandy/dusty areas regular oil changes can be beneficial because it allows removal of any salt/sand/dust/dirt/water contamination from the oil. 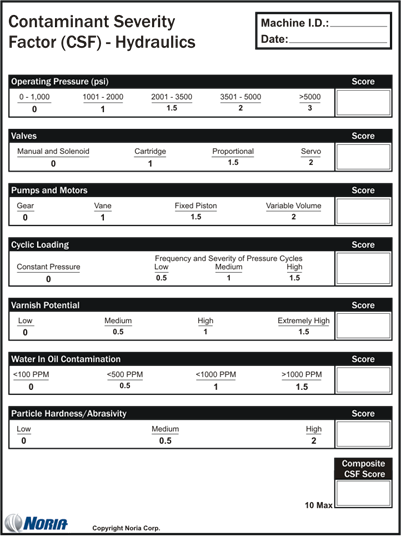 Q: Do you have any target moisture content for; Hydraulic, Gear, Engine oil?